Home » In the Press » What they got: Condos $212,500 in West Hill, $350,000 in King West Village. What they got: Condos $212,500 in West Hill, $350,000 in King West Village. King St. W. and Bathurst St. Size: about 600 sq. ft. 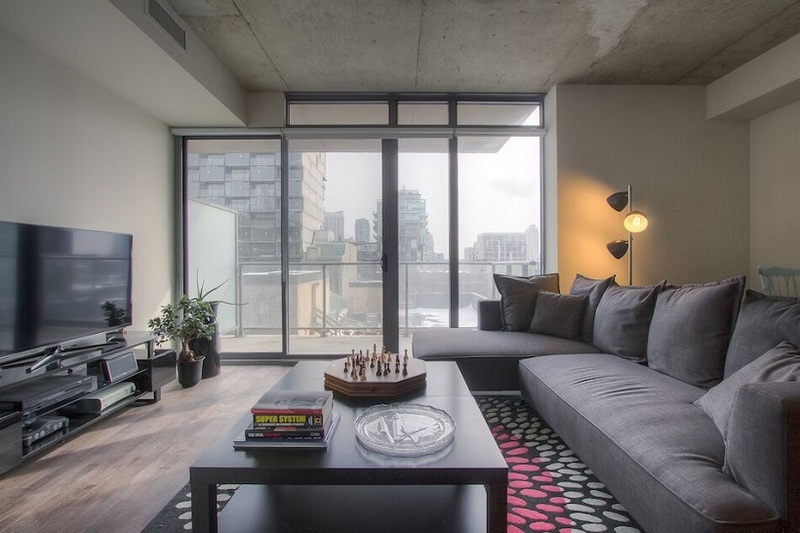 Located in the heart of downtown Toronto near Trinity Bellwood Park, this one-bedroom condo loft unit is in a newer 16-storey building designed by Core Architects and developed by Freed Developments. “This suite features a 70-foot balcony, nine-foot ceilings throughout, hardwood floors and a modern kitchen with a stone counter and glass tile backsplash. The spa-inspired bathroom boasts a custom vanity sink and a soaker tub. “Situated just a block north of King St. W. on Bathurst St., the building is in a trendy urban area, minutes to nightlife, restaurants, shopping, parks and the TTC,” says listing agent Robin Pope. The building has a concierge. Unit has: living room with hardwood floor and walkout to balcony; dining room with walkout to balcony and hardwood floor; kitchen with stone counter, stainless steel appliances and hardwood floor; master bedroom with double closet and hardwood floor; four-piece bathroom. Listing agent: Robin Pope, Pope Real Estate Limited, Brokerage, 416-479-0712; poperealestate.ca.